Antiseptics are antimicrobial substances that are applied to living tissue/skin to reduce the possibility of infection, sepsis, or putrefaction. Antiseptics are generally distinguished from antibiotics by their ability to be transported through the lymphatic system to destroy bacteria within the body, and from disinfectants, which destroy microorganisms found on non-living objects. Some antiseptics are true germicides, capable of destroying microbes (bacteriocidal), whilst others are bacteriostatic and only prevent or inhibit their growth. A team of scientists from the MISiS National University of Science and Technology with colleagues from the Central European Institute of Technology and other Czech universities have developed a biodegradable material with antibacterial action to use as a dressing on damaged skin. The U.S. Food and Drug Administration today filed a complaint against Innovative BioDefense, Inc. of Lake Forest, California, and Colette Cozean, the company's president and chief executive officer, to prohibit them from selling Zylast topical antiseptics with claims that they are effective against infection by pathogens such as norovirus, rotavirus, flu virus, Methicillin-Resistant Staphylococcus Aureus, and Ebola. When it comes to the examination room at your health care clinic, you might think that avoiding catching the flu or other more deadly viruses is out of your hands, so to speak. A new in-vitro study by University of California, Davis, researchers indicates that quaternary ammonium compounds, or "quats," used as antimicrobial agents in common household products inhibit mitochondria, the powerhouses of the cell, as well as estrogenic functions in cells. Tecnalia's Pharmaceutical Development laboratory conducts the selection of the candidate polymers and topical antiseptics necessary to obtain a stable, safe and effective formula in the form of a transparent bioadjesive gel specific for the treatment of diabetic foot ulcers. Infections contracted during surgical operations are a serious healthcare problem, leading to death in some cases. Now, a research project at the University of Huddersfield is investigating the use of nanoparticles as a way to disinfect wounds. It could prove to be much more effective than existing techniques because the particles would be tiny enough to enter the skin via hair follicles, ensuring much better penetration of the area affected by surgery. 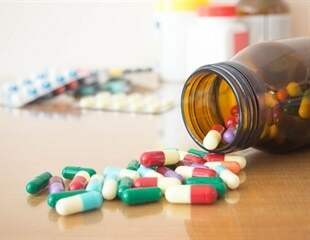 The American Cleaning Institute urged the Food and Drug Administration to re-evaluate all data relevant to the safety and efficacy of antibacterial health care ingredients and make affirmative findings that they are generally recognized as safe and effective. Helsinn, a Swiss Group focused on building quality cancer care, and Mundipharma, today announce that they have entered into a distribution and license agreement for the exclusive rights to anamorelin in China, Hong Kong and Macao. E.. coli usually brings to mind food poisoning and beach closures, but researchers recently discovered a protein in E.. coli that inhibits the accumulation of potentially toxic amyloids--a hallmark of diseases such as Parkinson's. The study, published in the journal Science and Technology of Advanced Materials, by Shinichi Arakawa and colleagues at Tokyo Medical and Dental University and Japan's National Institute of Advanced Industrial Science and Technology, evaluated the bactericidal activities of ozone nano-bubble water - also known as NBW3 - against the two main bacterial agents that cause periodontitis as well as its toxicity to human oral tissue cells. Health Canada is reminding healthcare professionals, caregivers and consumers of the safe use of topical antiseptics used to clean the skin before an operation (preoperative) or before an injection (preinjection). Helsinn and Mundipharma announce the signature of a new, exclusive license and distribution agreement, covering China, Hong Kong and Macao, for netupitant-palonosetron fixed dose combination, a Helsinn product under development for the treatment of chemotherapy-induced nausea and vomiting. Researchers have identified a resistance protein that allows bacteria to survive chlorhexidine, a disinfectant commonly used in wipes, cleansers and mouthwashes in hospitals. WHO and Health Care without Harm have joined forces to launch a new initiative to get mercury removed from all medical measuring devices by 2020. Why do some innovations spread so swiftly and others so slowly? Consider the very different trajectories of surgical anesthesia and antiseptics. ... On October 16, 1846, at Massachusetts General Hospital, Morton administered his gas through an inhaler in the mouth of a young man undergoing the excision of a tumor in his jaw. ... By February, anesthesia had been used in almost all the capitals of Europe, and by June in most regions of the world. Although several chemotherapy treatments are now administered by the oral route (targeted chemotherapy), most chemotherapy treatments (cytotoxics) are administered by the intravenous route. Bedside baths in the hospital are nothing new. They are typically done for patient comfort and to maintain basic personal hygiene. Measuring levels of neonatal thyroid-stimulating hormone may not be sufficiently sensitive for inferring the extent of iodine deficiency in a given population, study results suggest. Allergies occur when the body overreacts to substances in our environment, such as pollen, dust mites and so forth. What happens is that when we are exposed to these potential threats, the immune system should react, deal with it, and then shut down.